System Migration & Deployment | Sharepoint | Batish Technologies Pvt. 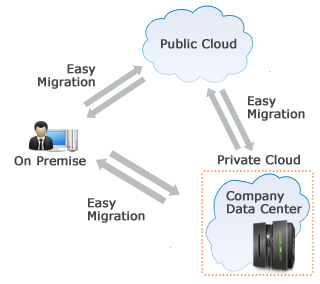 Ltd. Migration and Deployment – Batish Technologies Pvt. Ltd.
All companies at some stage feel the need to upgrade their systems for various reasons. The foremost of them being, to harness the power of new technologies and reduce operational costs. This can be a daunting task and a one that impacts all aspects of the business as technology and IT is interwoven in most processes in businesses. Batish Technologies is IT Solution Company providing complete System Migration & Deployment Services. It can have wide spread consequences if not done right and presents tremendous risks in terms of the potential for interruption to daily operations.At BT, we can help you seamlessly transition from existing IT infrastructure to a more advanced and cost effective setup with minimal downtime, if any. Our processes are quiet stringent and follow a stepped approach to make sure the transition is as streamlined as possible. We conduct an initial assessment of your application environment and existing infrastructure and then propose a solution which offers the highest possible ROI. The main parameters being performance, manageability, scalability and flexibility, at the lowest possible cost.We use industry proven methodologies and procedures from our partners like Microsoft, Symantec etc. to devise solutions and manage third party suppliers to deploy them at your premises or off site data centres in a phased manner to ease the change impact. We can even provide or organize training for the staff on the new infrastructure, if need be, to speed up the adoption process. Reduced intangible costs of knowledge transfer and managing multiple vendors. For more information on System Migration & Deployment Services, contact us.